I’m a very passionate person – which can sometimes be chaotic but it’s what makes me strive to help those around me and learn everything I can. Coupled with my acceptance of any challenge and you’ll quickly see why I accepted a PhD in chemical and biomolecular engineering (thanks, Australian Postgraduate Award and Loxton & Boger Award!). I’m one of those people who strongly considers all of the options possible, who wants to try everything and have all of the choices! I’ve lived in Thailand, America, Cameroon, Japan. My hair has been every colour of the rainbow. And I think engineering helps me perpetuate this – in my various research projects and PhD, I’ve had the opportunity to work on biofuels, metal ion extraction and now sustainable opium processing. While life is somewhat chaotic it hasn’t stopped me from succeeding academically and helping those that come after me. I’ve been honoured to speak to a lecture theatre full of inspiring young engineers from the Asia-Oceania Top University League on Engineering as my first research presentation, in Japan (cheers, Melbourne Global Grant! Also yes, it was terrifying). Outside of my passion for learning I’m passionate to further diversity in STEM and advocate for it through my role as President of Women in Science and Engineering at The University of Melbourne, which aims to attract more students into science and engineering industries. Through this role and mentoring programs like Curious MindsCurious Minds and In2science, I hope to work to break down barriers for the next generations of women in STEM. Did you do maths and science in high school? Absolutely, I did HL chemistry, SL physics and HL math (International Baccalaureate). If I can say one thing here it’s to DO MATH. You may not enjoy it (I didn’t) – you may even hate it. And it’s likely that you won’t use most of it later on. But it is a requirement in STEM, so just get through it! How important are female role models to you? I think role models are becoming increasingly important as I get older and have to make Real Decisions about my Future – seeing what’s possible, and where people have gone. In my field, I’m happy to say that all the Heads of Departments I’ve met for chemical engineering have been awesome women. They’re incredibly inspiring! What attracted you to your chosen field of study? When I made my decision to study chemical engineering, it wasn’t because I was inspired by something – I was just good at chemistry and thought I would get a job if I did engineering. It wasn’t until learning about the real impact of it, and the powerful problem solving mentality that engineering teaches, that I actually became attached to it. Do you have any mentors in your field? Have they given you a special piece of advice or guidance you’d like to share? 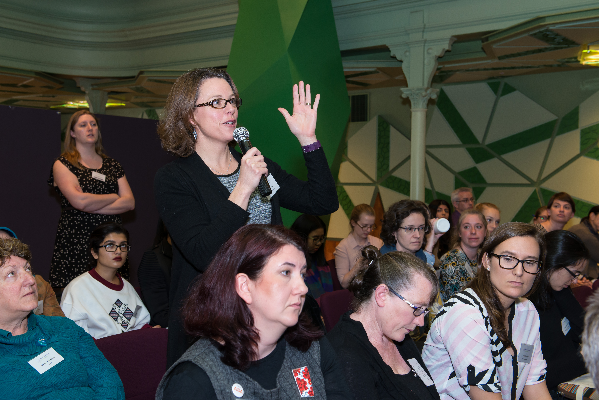 What can we do as individuals to help the next generation of women in STEMM? Create a safe and encouraging space for diversity, facilitate inclusive discussion and raise awareness of diversity issues as they come up. Look at your organisation’s culture; the language and channels used to advertise, and make diversity visible. Build bold vision in girls and young women!